B. Gibbs Funeral Services Ltd - Welcome to B. Gibbs Funeral Services Ltd in Chard, Somerset. Welcome to B.Gibbs Funeral Services Ltd.
B. Gibbs Funeral Services Ltd. is a family business covering the local community of Chard and the surrounding area. 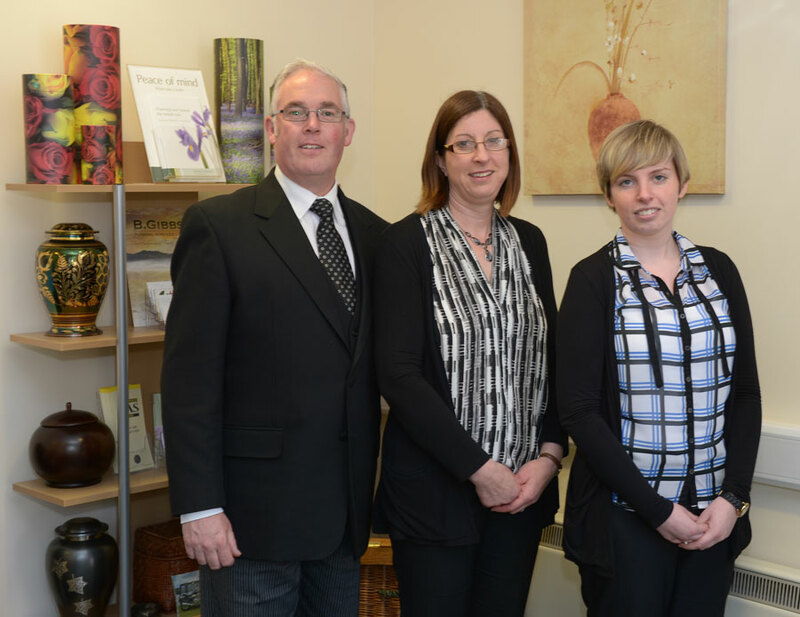 We are proud to be an independent family run firm, offering a range of traditional, green and bespoke funerals. Barry Gibbs is a member of the National Association of Funeral Directors (NAFD) and holds the NAFD Diploma in Funeral Directing, giving families the peace of mind that their arrangements are carried out to the highest standard by the only qualified funeral director who both lives and works in Chard. Being born and raised in Chard, Barry understands the local area and the needs of the local communities within. We guarantee a 24 hour a day, all year round service and are happy to discuss arrangements wherever you feel most comfortable either in the comfort of you own home or at our office in the main street of Chard. A funeral service should reflect the life of the person who has passed away and therefore be carefully planned and tailored to your individual requirements. Whether it is to be a simple funeral service or something more elaborate, we can provide you with the guidance and support to make this special occasion as unique as the person who has passed away. Barry and his dedicated staff are always on hand to discuss with no obligation, the different choices of funeral service, be it religious or non-religious. "Dear Barry, Thank you so much to you and your staff for helping us to make Frank’s Funeral so special. You did everything you could to sort things for us and we just cannot thank you enough. "Dear Claire, Many thanks for arranging my uncles flowers for us as you did, I didn’t expect that, it was lovely of you and they look great. A big thank you from us all. "To Barry and Staff, Thanks for making everything run so smoothly for our mum’s service and all your care and attention. .
From Josie, Jeanette, Patsy, Paul, Phillip and Peter." "Dear Barry, I would like to express my sincere thanks for your help in arranging my sister’s funeral, your help and advice was much appreciated and made what was a stressful time in my life bearable, you came over to me as some one who was prepared to go that extra mile and did so on several occasions. I cant thank you enough for your help and attention to detail in arranging and carrying out this funeral. Thank you once again on behalf of my brother Gordon and my wife Mary.